Fitness Business › Learn about the business side of fitness. Learn about location — demographics, population within 10 – 12 minutes drive-time radius, traffic, parking, and other important factors to consider when choosing a business location. Choosing a location specifically suited to your service or product offerings is vital. You must know yourself, your services — and your market very well before choosing a location for your business. Remember, in time, things will change. Population shifts, business competition, relative or vertical market business proximity, population transience, among many other factors, all play a role in the changing climate of business locality. Consider your market, business competition, competitive advantages, expenses and value related to a location, your business strengths, weaknesses, opportunities, and business threats to help you develop an outline of expectations and likely outcomes related to selecting the perfect location for your facility or studio. Experts agree, location is the single most important factor for any destination location business, regardless of size. Depending on the local, being suburban or urban, the acceptable travel time varies. 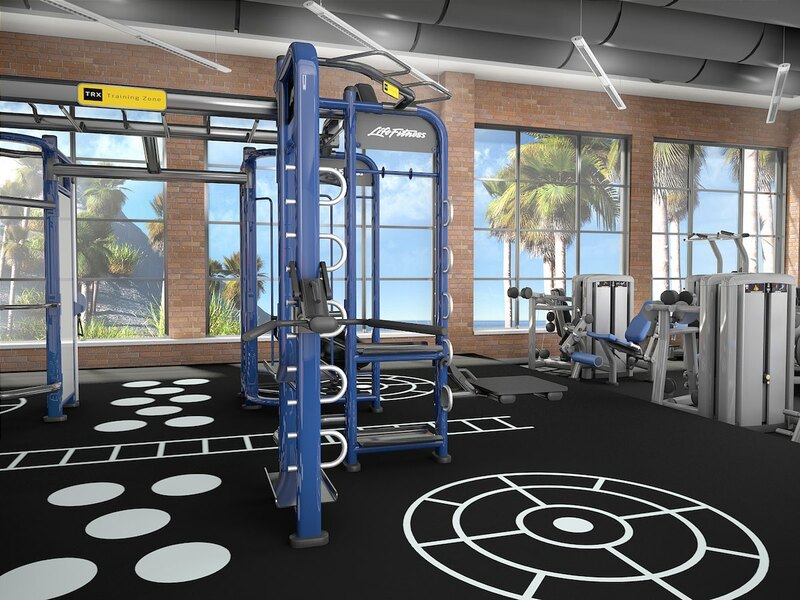 In urban fitness facilities, members typically will travel approximately 5 to 7 minutes, which could signify one mile or less. In suburban markets, members will typically allow travel time to their fitness provider of 10 to 12 minutes, with car ownership and available parking being the common denominator. Members report that location was listed second behind economic reasons as why they quit their membership at fitness facilities. Continuing on the subject of convenience, it is essential to also prepare a summary of businesses surrounding a location attractive to you. What type of businesses surround, anchor, or are within a minute or two of your desired location? Many years ago, when scouting locations for a health club or personal training studio, we used to drive through busy business areas taking note of the drive-by traffic, destination stores or businesses, the type and quality of businesses in the area, and the general traffic in and out of anchor locations within business retail locations. In fact, we used to simply drive to the nearest Blockbuster and scout the area for a couple of hours. Times have changed! Like Blockbuster retail locations — the landscape of retail business has changed and finding the perfect location is much more of a challenge today. 1. Define who you are and specifically what you do for others. 2. Survey and understand the demographics of a target location within a modest radius. 3. Develop an outline of considerations attributed to value, sustainability, and potential for growth or change. 1. “Frequently Asked Questions: Research.” IHRSA. International Health, Racquet & Sportsclub Association, 3 Nov. 2014. Web. 11 Nov. 2014. Are you looking for help running your fitness business? If you need help learning how to choose a location for your fitness business, we want to hear from you. After you contact us – don’t forget, we can support your facility, website, personal training, and group exercise programs. Yes, it’s free – always.